That question usually comes up after your first river crossing in the jungles of Borneo. After an awkward dance over a series of slippery rocks, you inevitably end up ankle-deep in water, your hiking boots sopping wet and heavy. Meanwhile, after lending you a hand, your guide smoothly wades across and glides up the opposing riverbank. He’s been conquering the rainforest in a pair of simple all-rubber shoes. And, how can you get a pair? 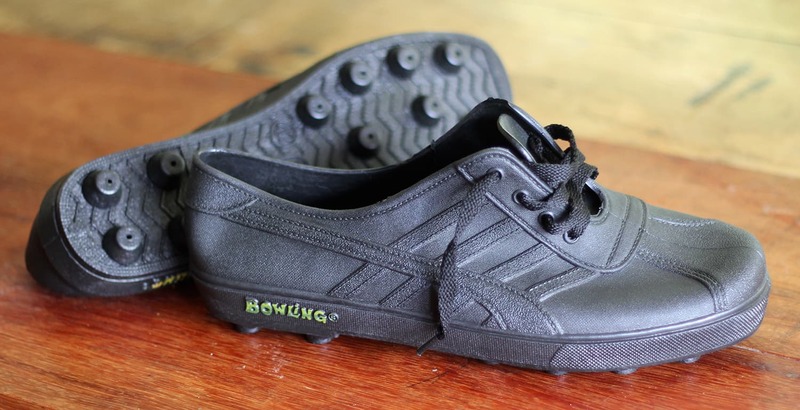 The made-in-Malaysia Adidas Kampungs are not only are the most stylish shoes in the jungle, but they’re also practical, and perfect for jungle trekking. They’re not actually made by Adidas, but with striped sides and cleated bottoms, they resemble a classic football boot. And kampungmeans ‘village’ in Malay, which is fitting considering they’re ubiquitous in rural Borneo. Farmers wear them religiously, most of the porters running up Mount Kinabalu have them on their feet, and every village abode has at least a few pairs sitting outside the back door. There are a few different makes and models – white or black, laces or no laces – with the only limitation being that they’re hard to find in any size larger than a European forty-three. Don’t expect a lot of ankle support, but they’re actually quite comfortable, and provide excellent traction on the jungle’s varying terrain. And the best part is, the next day when your friends are pulling on a smelly pair of clunky, wet boots, you’ll be slipping into your nice and dry Adidas Kampungs. My personal favorite is the Bowling brand, made by Tong Fatt Traders in Johor, West Malaysia. Founded in 1993, they have perfected the Adidas Kampung, and use a softish pliable rubber that nicely hugs your feet. You won’t find these at a shoe store in the mall, but there are plenty of markets around Sabah where you can grab a pair. And they are definitely worth the ten-ringgit price tag!